Beck hates his life. He hates the Maestro, his mother who will except nothing but the best when it comes to playing the piano. Beck is forced to live out her dreams and expectations and nothing is every good enough – it makes him hate music. That is Beck’s life. That is until he’s partnered with August on a school project. August is bright and carefree and can’t stand to see anyone or anything in distress. Beck begins to see that there is more to life than music and fear, but can he take the steps to rescue himself? Trigger warnings for emotional and physical abuse from a parent to their child. A Thousand Perfect Notes is often heart-breaking. It’s told from Beck’s point of view and his fear; confusion and the glimmer of hesitant hope he has deep down are all palatable. To say Beck’s mother is horrible would be an understatement. She is angry that she can no longer play the piano, so all her energy and passion is directed at making Beck love the music she claims to love. Nothing but perfection is good enough for her and she can always find fault with Beck’s playing. And when she finds fault she can be cutting with her remarks or violent with her hands. Beck’s little sister Joey is the one bright spark in his life before August, and his mother knows this and threatens Joey in order to make him practice and be on the piano. Joey and Beck’s relationship is just lovely. She’s such an authentic young child, who manages to be wiser than her years but also really sweet and loving. August is like a breath of fresh air for Beck. Their friendship grows organically as she’s stubborn but sensitive to Beck’s moods as he doesn’t know how to act around her, or how to act around anyone who is kind to him. Watching their relationship develop, and how Joey fits in with the two of them, was great. 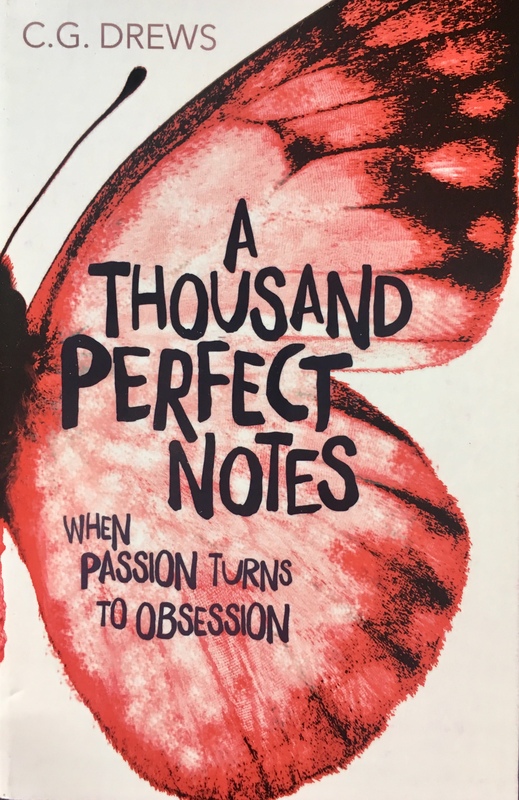 A Thousand Perfect Notes is a tough but brilliant read. Having it be a relatively simple story with its focus on Beck and his life makes it a sad read but that focus allows you to get to know Beck so well that you can’t help but put yourself in his shoes and want his life to be so much better. One thing I really liked about A Thousand Perfect Notes is that it never says Beck is a victim, he has an inner-strength that even he doesn’t necessarily realise is there to begin with and the story allows him to use that to rescue himself. It’s not that once August is around, everything becomes OK – it’s so much more than that which is wonderful as anything less would’ve been a disservice to both Beck and August as characters. 4/5. I chose A Thousand Perfect Notes to be my pick for this months Monthly Motif Challenge “Read a book you think is a perfect vacation read and tell us why” as I always think it’s easier to read and enjoy a hard-hitting story when the sun is out and you have little to worry about when you’re on holiday. Glad that you enjoyed this book. I found it so quick to read!